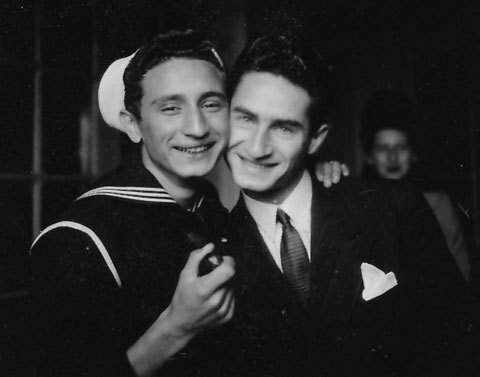 Ok..so here are two more photos of my father Emile with his cousins on leave after the liberation of Paris (a follow up to the post below). I am almost certain the man is his cousin Yves Jouffa and the woman Yves sister Roselyne-- but I am waiting for the family in France to confirm this. 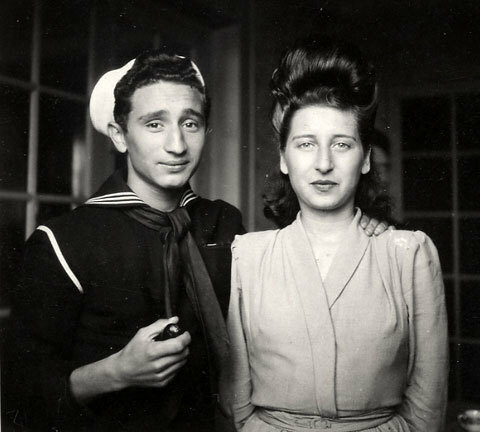 I find these old photographs so endearing, their faces so open and vulnerable to the camera. They want to remember themselves like this, happy to be alive, to be reunited again after such horrible times. It is odd for me as my father's child to find myself now so much older and relating to these photos of him the age of my children now with a nostalgic affection and amusement. I feel protective of that younger Emile -- and charmed by those oh so expressive eyebrows of his and that boyish smile (never-mind the pipe! ).